It all started with a simple question that was asked within our I Love Grilling Meat Private VIP Facebook group forum about the 3-2-1 method for smoking ribs. That simple question, which we will get to in a moment, opened up an entire “can of worms” like you could never imagine when about a dozen highly experienced Pitmasters joined this conversation to add their own tips and secrets for great smoked ribs. And at the same time save yourself the time of looking through dozens of recipes and articles on the Internet which more than likely do not contain this valuable information. 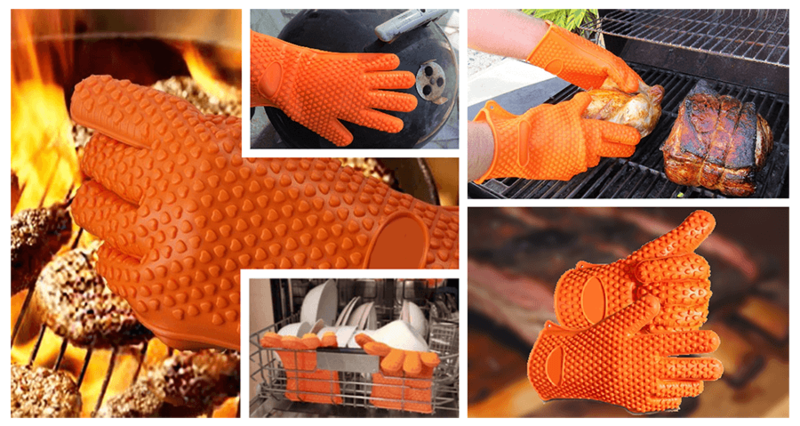 LIMITED TIME OFFER: Click Here And Get BBQ Gloves 41% OFF w/ FREE Shipping Delivered Direct To Your Door In 7 Business Days Guaranteed! This 3-2-1 method seems to be a very popular method with many folks in the barbecue world because it does a great job of embedding flavors within the meat and gives you meat so moist and tender it falls off the bone. While a few barbecue purists, competitors, and competitive judges may argue that this method violates meat smoking in it’s purest form because the 2 hours wrapped in foil (also referred to as the “Texas Crutch”) can make the ribs a bit too tender and can also be considered boiling, which is frowned upon in the BBQ world. That being said, we suggest that you use your own discretion and experiences to formulate your own personal opinions on what you and your family prefer when it comes to smoked ribs. 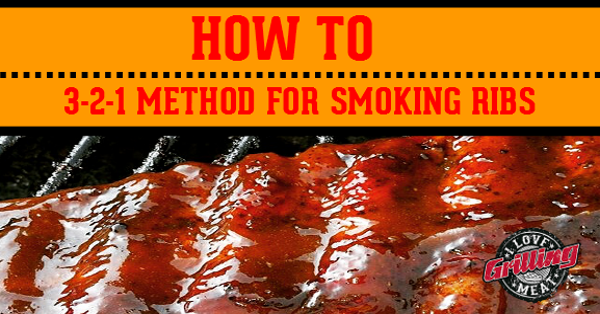 Try the 3-2-1 method for smoking ribs as well as other methods to find your sweet spot because after all, you and your family are the ones enjoying the meat, so to each his (or her) own. Speaking of sweet spots, here’s that simple question that opened up a highly valuable conversation among some very experienced pitmasters about making 3-2-1 ribs. Special thanks to Tim Wisniewski for asking it within the I Love Grilling Meat Private VIP group forum. 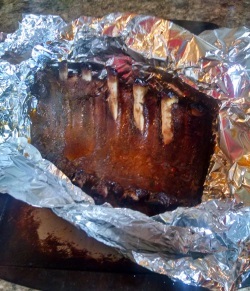 Tim Wisniewski: I am trying the 321 method for ribs for the first time. Should I spritz them with apple juice during the first 3 hours? If so, how often? Thanks!! Tony McHale: You don’t have to, but you can, I do and I don’t, just depends on how I feel that day I guess, but I would spritz once an hour, if your going to. Ryan Arledge: Try spritz with 322 every 15 minutes on last 2 hrs. It’s all good. To each his own, it’s gonna be yummy no matter because you care. Tim Wisniewski: What is 322 Ryan Arledge? Tony McHale: Just add another hour at the end. Tim Wisniewski: Ahhhh!!! LOL Thanks guys!! Donny Collins: I always spritz once an hour. Torben Begines: Once an hour then pour some in the foil when you wrap them. Donny Collins: I use squeeze butter, brown sugar,and a little apple juice. Tony McHale: Hey Donny Collins, how much of the butter do you use in that spray? Tim Wisniewski: I believe that is for when you foil. Steven Kelly: You all have taught me that if you’re looking you’re not cooking, so I never sprits or peek in the first 3 hours, just pay attention to temperature. Tony McHale: It’s true if your looking your not cooking, but if you crack it open for a purpose, like mopping, or spraying, your not just opening for no reason all the time. Tony McHale: I’ve never used squeeze butter when I wrap my ribs, I need to try that. I see people doing it a lot, I do however use honey when I wrap. Steven Kelly: I use an aluminum tray to wrap my ribs. I usually wrap 3-4 racks in one pan with a can of coke. The liquid left after 2 hours is great for part of my BBQ sauce. Derrick Blackwell Sr: When I spritz, I spritz with a 3:1 solution of Apple Juice and Apple Cider Vinegar. When I do not spritz, I inject with the same solution ratio. Donny Collins: Hope that helps Tony McHale. Tim Wisniewski: Have to try that next time Derrick Blackwell Sr!! Thanks!! Derrick Blackwell Sr: Brother Tim Wisniewski, you are quite welcome sir. Trey Lowry: I wrapped my ribs today and I ruined them never have done it before. I mean they are not inedible but not good to me. Tim Wisniewski: Oh sh*t, too late now, guess I will hope for the best!! Pulling in a half hour, will see!! Tony McHale: Sorry to hear that Trey Lowry, what exactly happened to them? Trey Lowry: They dried out and I cooked them less time than I normally do. Tony McHale: Thanks Donny Collins, that’s exactly how I wrap mine, only I use honey instead of butter, I’ll have to give the butter a shot. Tony McHale: What temp were you cooking at? Derrick Blackwell Sr: Did you place them directly over the heat after wrapping them? 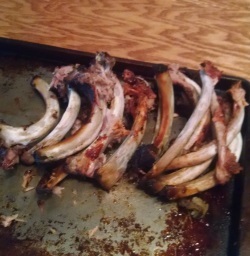 Trey Lowry: No I just thought I would try wrapping them my smoker is an indirect. Donny Collins: 225 and indirect heat. Tim Wisniewski: Mine turned out awesome, now back on with some sauce!! Trey Lowry: I’m gonna go back to what I know. Tim Wisniewski: All sauced up!!! Fall off the bone good, thanks for all the input/advice guys!! Torben Begines: Looks like you done good. Tim Wisniewski: Lip smackin’ good!! Tony McHale: Sorry to hear that wrapping didn’t work out for ya Trey, but I strongly recommend not letting that deter you from trying different things, we’ve all had bad days on the grill/smoker, learn from it, and keep experimenting!! Derrick Blackwell Sr: Trey Lowry, Tony McHale gave you one of the BEST pieces of advise. My mother bought us up with the saying “Nothing beats a failure but a damp good try!” Though we didn’t understand it then, I do to the fullest today. In trying new things/methods and all, even if you do not get the favorable results that you are looking for, you still learned a thing or 3! The next time that you do your ribs, try to keep the heat between 225 and 250. Also, rub it down and refrigerate at least 18 hours. Wrap your ribs after 3 hours of indirect heat and if needed use a timer. You may also want to put a pan of water beneath your ribs to have it serve as a drip pan and to provide moisture. Derrick Blackwell Sr: Please let us know how things turn out the next time. There are plenty of methods to try and who knows, you may come up with something yourself. Success is right around the corner because practice makes perfect brother. James Vredenburg: I always wrap. I have found like Donny Collins using the butter is the way I also use brown sugar, some honey and sprinkle some rub on also. Randy Siltzer: I do not spritz during the first 3 hours. I put in a little juice when I wrap them. I don’t go the full hour at the end, maybe just 30 minutes. I like a little tug when you take a bite. 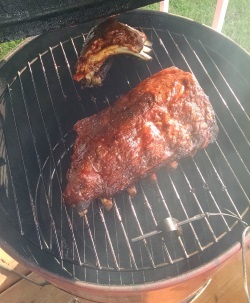 Chris Gadue: This is what i love about this site someone talks about “screwing” up ribs and all anyone does is talk him back into trying it again everyone here is the best I’ve picked up and learned so much from everyone here its awesome I now have new things to try on my grill. Danny Mcturnan: Chris that’s what it is about sometimes we all take a few steps back in order to get five ahead, its called not giving up and having great people cheering you on. Donny Collins: When wrapping, they must be tightly wrapped. And the 3-2-1 method is for St. Louis style ribs. Folks have struggled when using this method on baby backs and beef ribs. Don’t give up Trey Lowry, just become more familiar with different ways.. and don’t forget the liquid. Trey Lowry: Donny Collins I have always done dry rub and slow cooked them. I grew up in Memphis Tennessee and was on a cooking team that use to be in competition we did brisket shoulder and ribs I just never tried wrapping them. But next time I’m gonna do the 3-2-1 method. There you have it… tips, techniques, and insider secrets for smoking 3-2-1 ribs by over a dozen highly experienced pitmasters. Hope you found something you like and make it work for your taste. If you have any other tips, tricks, and techniques you’d like to share about the 3-2-1 method for smoking ribs, please feel free to share it in the comments below. Special thanks to Tim Wisniewski, Tony McHale, Ryan Arledge, Donny Collins, Steven Kelly, Derrick Blackwell Sr., Torben Begines, Trey Lowry, James Vredenburg, Randy Siltzer, Chris Gadue, Danny McTurnan for making this conversation happen and for selflessly sharing tips, techniques, experiences, and rib smoking secrets with others. More people will enjoy the fine art of barbecue because of you gentlemen. How To Smoke A Brisket 21+ Tips It all started with a simple question on how to smoke a brisket by Phil Wooten in our I Love Grilling Meat Private VIP Facebook group forum. The following is a transcribed conversation between veteran, beginner, backyard, and competition Pitmasters. Hello to all the Pitmaster in I love grilling meat, and grilling enthusiast. I wanted to ask a question about Tri Tip: I recently tried to smoke a tri tip on a new 4n1 combo gas grill,charcoal grill, smoke box & wood. After I tried to set the smoker for 225 with charcoal and hickory chuck. The temp went up to 400 degrees. I had to wait all most two hour for the fire to burn down. I didn’t take into consideration that the wood is an additional source of heat. AS a consequences of my mistake my tri tip was ruein. My question is , how much charcoal and wood is to much and how long should it burn before putting on the tri tip. Anyone can answer my question. Hi William, great question! And although most of us wish the answer was simple, it’s more complicated than just adding or removing wood/charcoal because controlling heat inside your cooker has more to do with the air flow you let in/out of the cooker rather than the amount of wood/charcoal you use. From what you’re saying here it seems that it would serve you to practice adjusting your vents to hold temperature in the cooker. You can do this by running one or several dry runs with no meat, just charcoal and wood, purely to get a grasp of heat management in your particular cooker. You can use the same amount of wood/charcoal as last time, only this time you tighten your vents a bit. Please note that all cookers are different in that some are better at holding heat than other and there are also other factors such as altitude, humidity, wind, etc… that can effect the heat that is generated inside your cooker but for now it sounds like you’re best off simply practicing air flow control within your particular cooker. Hope this helps, thank you for stopping by! as nobody else understand such targeted approximately my problem. 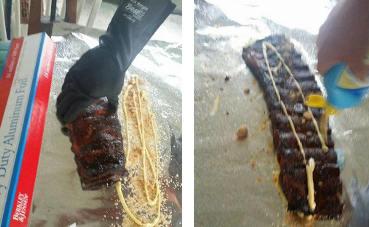 I don’t understand why you have to baste the ribs with a sauce? If you have properly seasoned and I use applewood, pecan and a little oak you should never have to sauce it up, put the sauce on the side. I never get complients and most of the time they don’t need any sauce. You are absolutely right Elgin! As we like to say… “To each his own”. Thanks for stopping by friend! You are right Wendy Joy Zawacki Wickham tons of variations! 2 hrs wrapped?? the meat will fall off the bone. I switch to a 2-1-1 method. I read that meats only take in 2 hrs of smoke at the beginning of the cook. That extra hr is not necessary. You’re right Nest Nore, we have a lot of pitmasters that tell us they switch up the times just like you do, 2-2-1, 3-1-1, 3-2-1/2, and we encourage people to experiment with it themselves to find what they like. That sounds great Jason Spellbinder! Not sure about the sauce but it does sound quite easy. Cranking up the grill this weekend ! You’re right Basilio Rosales III, some people don’t sauce them, it’s all up to the individual.